Just a quick note to let you know that the Museyon Film/Travel guides are out. 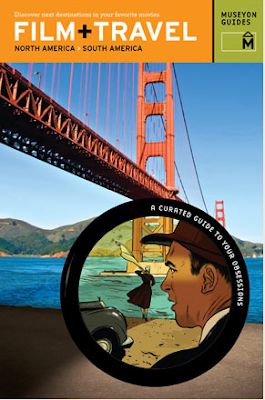 Each guide features a "curated" tour of cities and regions ... with a specific "filmic" twist. I contributed essays to the North/South America and Europe volumes (see above images). For the former, I wrote a little bit about film production studios, facilities, and locations in D.F.. For the latter, I gave a more panoramic snapshot of the various film offerings in Scandinavia (and yes, I do include the Faroe Islands! ).